So it starts: today marks day 1 of Ironman training, take 2. There was no fanfare – just a walk to the empty pool at 5:30AM amidst a chilly San Francisco morning. Although I hit my goals at my first Ironman and have had great results from training solo, I’ve decided to change things up this time: I’m working with coaches. 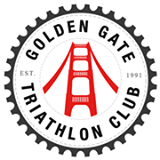 After searching for a local training group that participates in the major Bay Area events (Ironman Lake Tahoe, Wildflower, and Vineman to name a few), I came across Golden Gate Triathlon Club’s Ironman Training Group sponsored by Trifiniti. I like this program in particular because the group is small and there’s a lot of variety. The program’s broken into three phases (preseason, phase 1, phase 2), and three experience levels based on finishing goals (time, age group placement, etc). In a given week, I’ll not only be swimming, biking, and running, but the coaches also incorporate some of my favorite supplemental workouts into the plan: trail running, spin class, and strength training. Our plans have been uploaded to Training Peaks, and the coaches will work with us to modify our workouts in the event that life gets in the way. On top of all this, we’ll have monthly group workouts, coach check-ins, dedicated training weekends for our A-events (including a training camp in Lake Tahoe), and access to all of Golden Gate Triathlon Club’s functions. I’m not one to post my daily workouts or selfies, but I’ll post periodic updates that highlight both my overall progress and the gains I’ve made versus self coaching and training – especially around races that I’m using as benchmarks. Although I’m not fixated on time this year, I’ve elected to start with the level 3 program aimed at sub 12-hour Ironman finishes based on my experience level and expected training volume. Taylor’s training plan for Wildlflower and Vineman is also kicking off this week – no shelf on the refrigerator is safe! I did the IMLT training group with GGTC last year. Its a great group and Duane and Dorette are awesome! Good luck! Awesome – I’m really looking forward to working with them. Are you training with a group this year? We should sync up for some training before Wildflower/IMLT! Good luck! Nobody at race day sees all the training days we did to get there! Awesome! Looking forward to following along with your training! Good luck! A buddy of mine did Tahoe last year. Said it was a great course, but pretty tough. Looking forward to reading about your progress and race day 🙂 Sub 12 hours..that’s fast! 12 hours is fast, but I’m not going to get fixated on finish time – especially on a tough course at altitude. Thanks for reading!